Do You Play Safe To Avoid Criticism? Do you constantly wonder what your coaches are thinking? Do you lose confidence if your coach yells at you or criticizes your performance? Do you try to avoid mistakes as an attempt to escape the wrath of your coach? 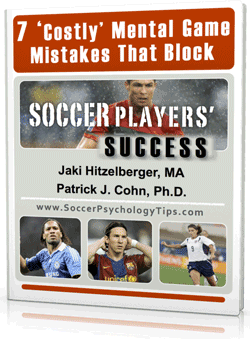 The soccer players we work with at Peak Performance Sports often lose confidence when their coach criticizes their game. These soccer players constantly judge their performance and wonder if their coach approves of their last shot or pass. Do YOU play safe and avoid taking risks for fear of getting yelled at by your coach? Mind reading is when an athlete assumes what his or her coach is thinking. 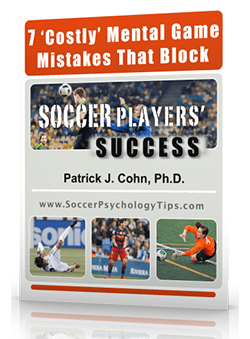 Soccer players might assume their coach is going to bench them if they make one more mistake or they might assume their coach thinks they are the worst player on the team. In most cases, when soccer players make assumptions, they are thinking worst-case scenario. In addition, when soccer players mind read they are completely distracted from the cues and thoughts that will help them perform on the field. Their performance suffers when they make false assumptions. Athletes forget that their coaches are being hard on them because they believe in their ability to play. Soccer players who rely on their coaches’ approval are at risk of riding what we call “the confidence roller coaster.” Their confidence goes up and down depending on the feedback from the coach. 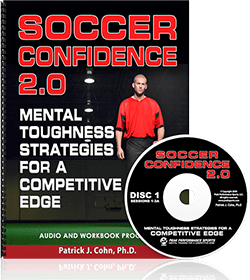 Coaches use different styles of coaching so we teach our soccer players how to develop their confidence based on things they can control. How can you develop stable confidence based on aspects of your game you can control? First, use your coaches’ feedback to get better and improve your game. Don’t assume your coaches think you’re a bad player just because they say you should have taken the shot instead of passed it, for example. Second, focus on what makes you feel confident, such as your pregame preparation, years of experience in soccer, training, and strengths. Instead of losing confidence when your coach provides feedback about your skills, try to use it to help motivate you and improve your game. Staying confident after your coach criticizes your skills is just one aspect of having a strong mental game.